18ct yellow gold citrine and diamond turtle brooch with diamond detail on the legs. 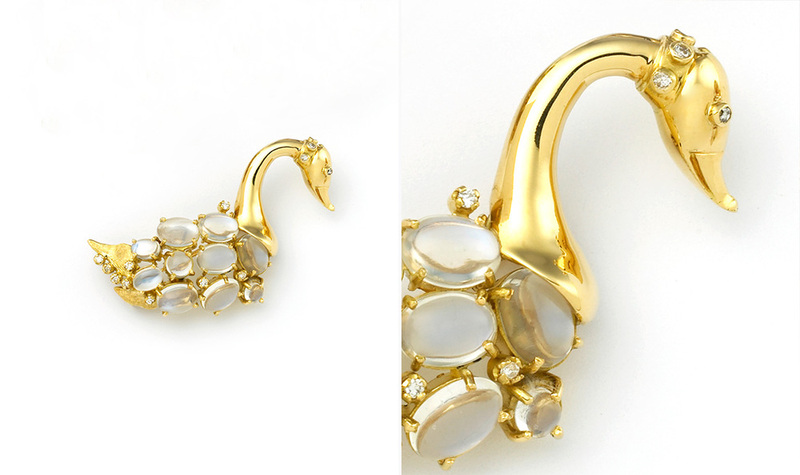 18ct yellow gold, moonstone and diamond swan brooch. 18ct yellow and white gold beetle brooch set with hematite, diamonds and rubies.